Are you a junior sailor looking to try a singlehanded dinghy? Do you race a Laser but have trouble in big breeze? Do you want all the fun of racing a Laser, but weigh less than 160 lbs? 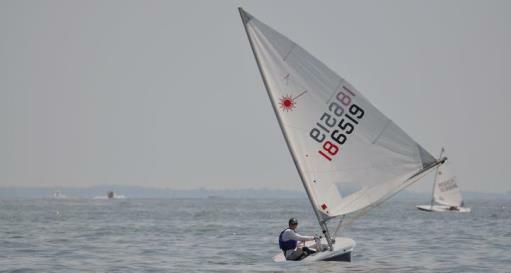 Then the Laser Radial may be the right boat for you! The Laser Radial was designed in the mid 1980s and sailed for the first time in the 1988 Laser Women’s World Championship. The Radial mast uses the same top section as the “full rig,” but a shorter and more flexible bottom section. The sail is 18% smaller (at 62 square feet) than the full rig, but the center of effort of the sail plan is much lower. This means the Radial rig generates more power relative to heeling force than the full rig, and so for lighter sailors allows performance and handling far better than they can achieve with the full rig. 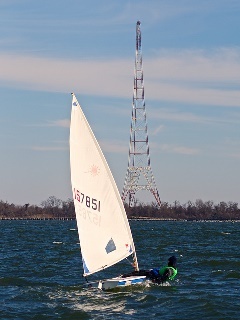 When it is quite windy, the Radial rig is faster upwind! The Laser Radial is the women’s single-handed Olympic class and is raced competitively by men and women all over the globe. 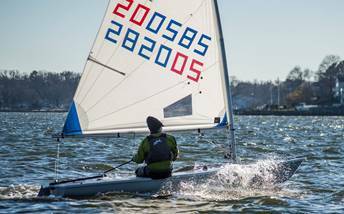 The Laser Radial has a large following with national and international regattas and World Open and Youth Championships attracting as many countries and competitors as the Laser Standard rig. 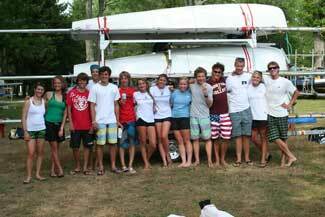 At the 2014 U.S. Laser Championship, there were 107 Radials but only 30 Laser Standard rigs. As well as a strong following amongst lighter weight sailors, the Laser Radial is also used for youth, women's, and masters' racing. The Laser is the largest one-design class (with more than 200,000 boats around the world) and one of the most competitive classes in the world. The beauty of the Laser is its simplicity--it is just the sailor, tiller, mainsheet, and three basic control lines. 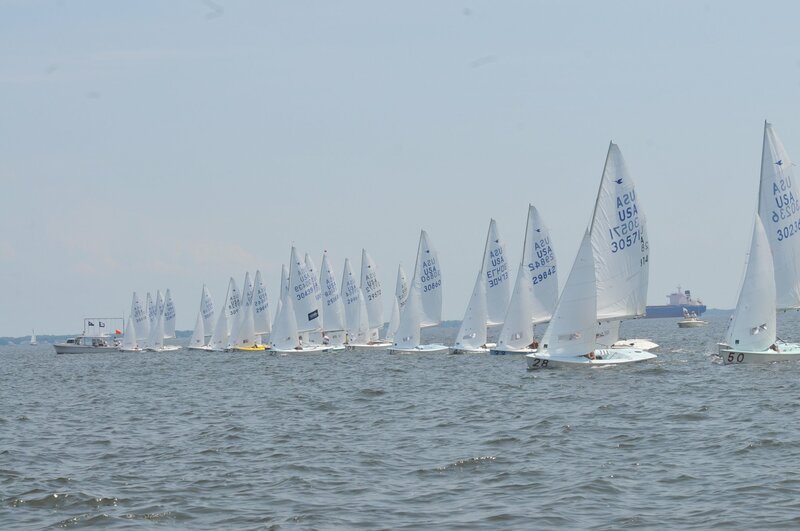 Come feel the breeze and surf some waves with the SSA Laser Radial fleet!